KBIS 2017: Photo Review of An Amazing Week in Design! [Part 2 of 2] – Design Your Lifestyle. 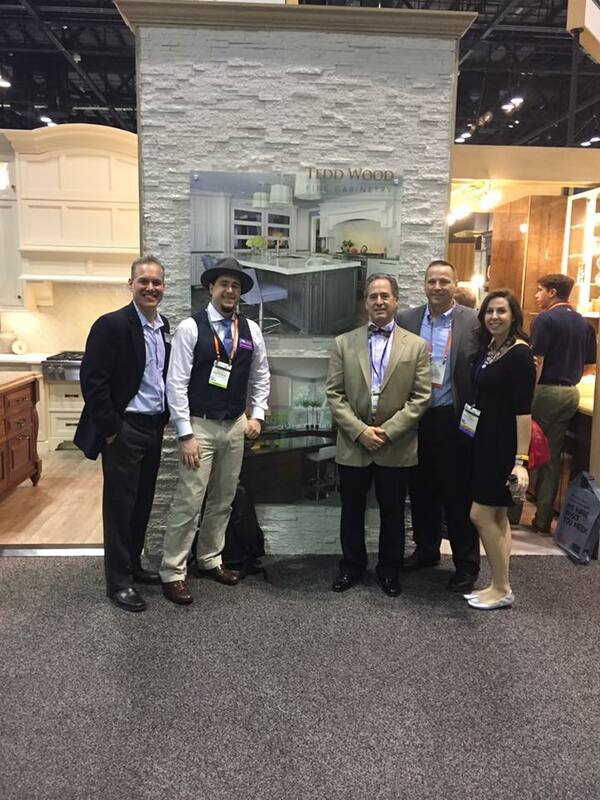 January 2017 January 2017 Peter Salerno, Inc.
More Exclusive Photos from the KBIS 2017 Conference in Orlando! In Part 1 of our KBIS 2017 photo review, we began sharing exclusive photos from inside the illustrious KBIS 2017 Design Conference from earlier this month in Orlando, FL. We followed that article up with exhibit floor photos of some of our favorite designs and displays from that week. Thanks to our parent company Peter Salerno Inc., we’re able to share even more exclusive exhibit and design photos from the week that was at KBIS 2017, as well as highlights from what was an amazing experience. Thanks to KBIS and the NKBA for putting on a beautiful, educational, and highly efficient experience for designers, vendors, creators and the public! One of the most entertaining new aspects of KBIS 2017 was the Tiny Home Challenge: Student Edition. Based loosely on the hit HGTV show and NKBA’s ingenuity, entrants capitalized on the “tiny house challenge” trend and competed to win fantastic tech/gadget prizes. 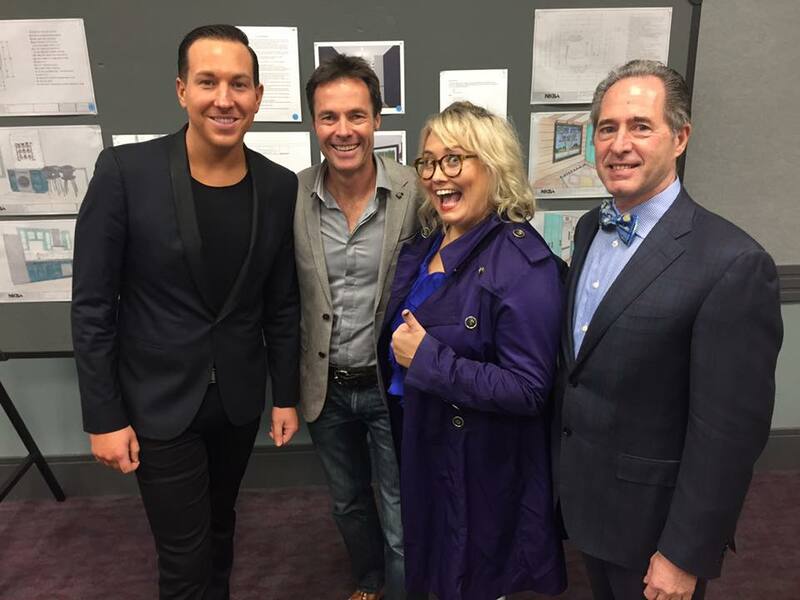 The Judging Panel from KBIS 2017’s Tiny House Design Challenge. The esteemed panel of judges for the KBIS 2017 Tiny Home Challenge: Student Edition included Peter Salerno (CMKBD), NKBA member and most award-winning NKBA/KBIS designer since 2003. The KBIS 2017 Design Conference kicked off in grand style with the Magic of Design awards dinner on January 9th. Hosted at the World Showplace at Disney’s Epcot Center, the dinner was a fantastic experience to network with designers, trendsetters and luminaries in the world of custom kitchen, bath, home and interior design. 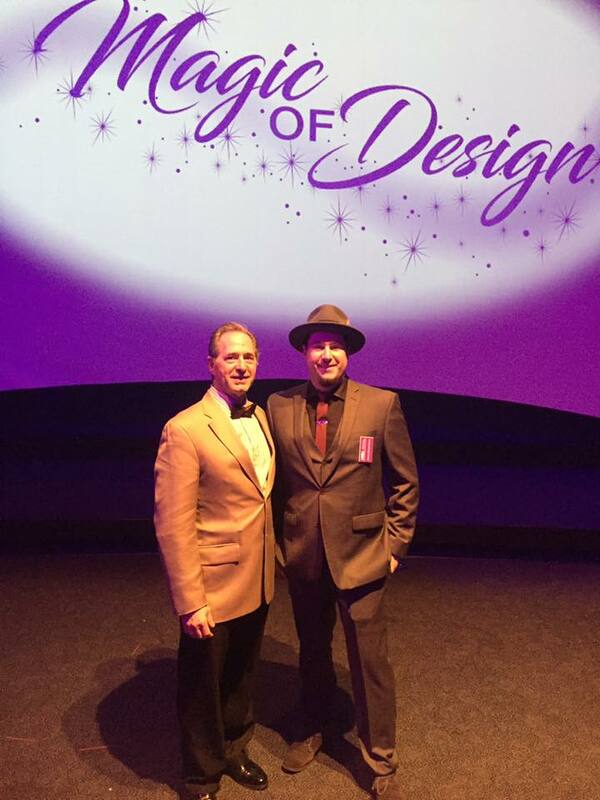 Peter Salerno and Anthony Salerno at the KBIS Magic of Design dinner. We have it on good authority from Peter Salerno and Anthony Salerno that the Magic of Design awards dinner (and party!) was a perfect mix of fun, recognition, and the opportunity to meet some of the great minds in design today. As previously stated, the KBIS 2017 exhibitor showcase floor was bigger than ever before, and filled with design inspirations for professionals, industry insiders, vendors and home owners. Smart bath appliances were the rage at KBIS 2017. Smart toilets, sinks and faucets surged onto the exhibitor floor, leaving an indelible impression on those in attendance. In particular, self-cleaning toilets from brands like American Standard generated quite a bit of interest. It was also interesting to note the trend of stainless steel with a “black finish” in kitchen appliances. Major appliance manufacturers like Samsung and LG continued to promote the arrival of “black stainless steel” ranges and ovens, featuring several prototypes along the way. Anthony, Gabrielle and Peter Salerno with Teddwood under a Peter Salerno Inc. design photo. The KBIS conference is always a wonderful time for designers from across the map to come together and share tips, innovations and insights. Peter Salerno was thrilled to have the opportunity to reconnect with some of his favorite people in the design industry. Below, Peter catches up with Maria Stapperfenne, former NKBA 2015 president, and Rhonda Knoche, owner of Rhonda Knoche Design in Oregon. 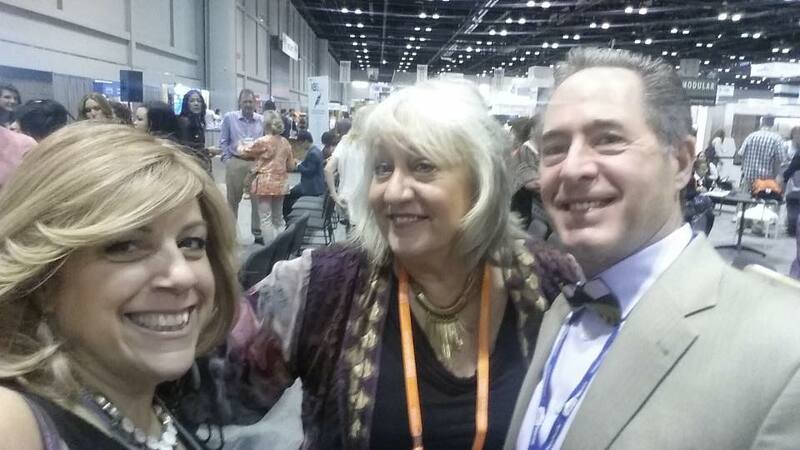 Peter Salerno with Maria Stapperfenne former 2015 president of the NKBA & Rhonda Knoche owner of Rhonda Knoche Design in Portland, Oregon. 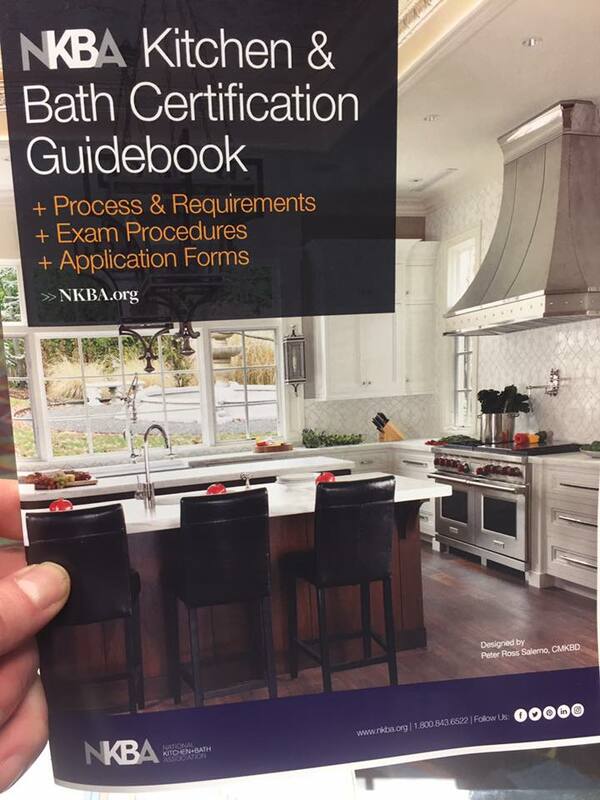 If you want more information about the NKBA and how to become a certified member of one of the foremost design associations in the world, pick up a copy of the brand new NKBA Kitchen & Bath Certification Guidebook. The NKBA Guidebook has helpful tips and insights on NKBA membership requirements, exam procedures and application forms. The cover photo on this year’s NKBA Guidebook is a custom kitchen design from Peter Salerno Inc., the most award-winning North American design firm since 2002. The new NKBA Certification Book cover, with Peter Salerno Inc. kitchen design photo. ← KBIS 2017 Exhibit and Vendor Photos: Exclusive VIP Pictures!